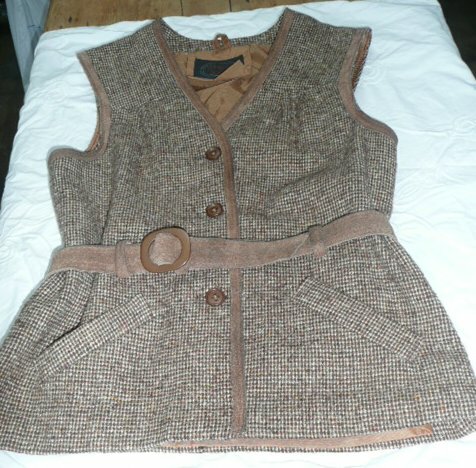 Iconic 1970s vintage waistcoat with suede belt. Somebody said recently that I'm over-fond of the word 'iconic'; that may be true, but I like to believe I only use it when it's appropriate, which is to say, when you find an item of clothing which could define a decade....as we have here! Put it with a polo neck, mini skirt and boots for instant hippy-chick glamour, or wear it with jeans, a long-sleeved tee-shirt and trainers, and it'll still betray its origins...when I first stumbled upon it, I thought '60s! '; further research suggest it is actually a seventies piece - but isn't that often the way? In excellent condition, this is a seriously classy piece of clothing, and would have been expensive when new. 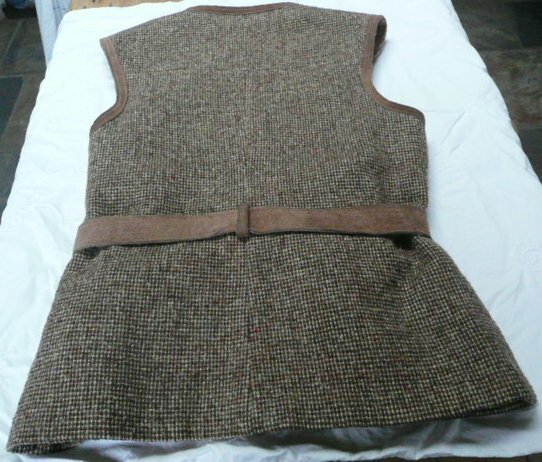 The arm holes and neck are bound in suede, and there are three loops for the suede belt. 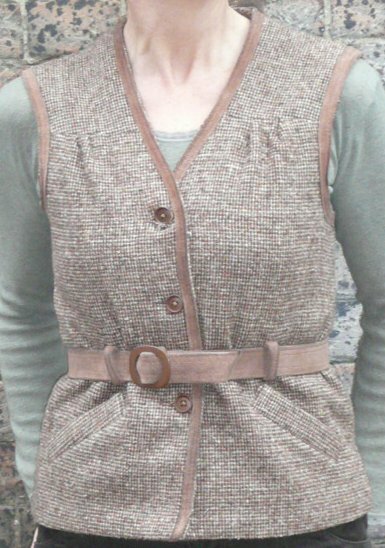 The main fabric is a thick, tweedy wool, with little pleats just above the bust, and it is fully lined; so it's a great extra layer during this cold weather! 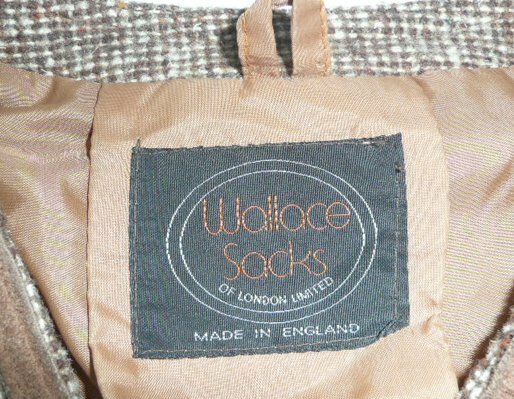 It has two little pockets, and is in very good, wearable vintage condition, with just some slight signs of wear. 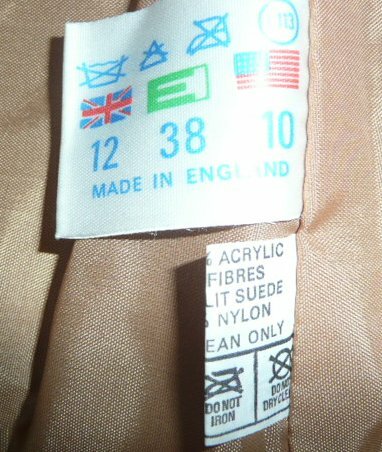 Marked as a size 12, best fit would probably be a modern size 10, as with our model, though she says the waist is a bit high...approximate measurements are: bust 35 ins/89 cms; waist 33 ins/85 cms; length to waist 22 ½ ins/57 cms; length in total 42 ½ ins/108 cms.